In our more than 45 years in business, we have used our skill and knowledge, innovative products and unparalleled caring service to help settle over 325,000 claims involving structured settlement funding of over $40 billion. We have positively impacted hundreds of thousands of lives by providing security and closure. You can find us nearby, with more than 160 experienced settlement professionals across 60 offices in the United States and Canada. At Arcadia, our passion for helping and empowering people is at the heart of everything we do. Our expert team helps people navigate the complexities of injury claims with experience, well-proven strategies, compassion and innovation. Employee Model: All Arcadia consultants are employees of the firm. This employment model contrasts with the more common industry model of loosely organized independent contractors who, generally speaking, are more challenged to follow consistent processes and procedures. Clients tell us our employment model allows for easier back-up services, more consistency related to service, and a stronger team commitment to their needs. Furthermore, having all structured settlement consultants as employees allows Arcadia much greater quality control for the benefit of clients. Quality Assurance: Clients are able to reduce the risk of settlement language mistakes by relying on Arcadia’s centralized document Quality Assurance (QA) team – reviewing all details of a completed transaction prior to distribution to the client. The QA team double checks the work of the consultants and their case managers in the field. Clients tell us this is unique in the industry as most structured settlement consultants only have their case manager check their work, while we have two rounds of settlement language review – at the local level and by our QA team in Denver. Highly Experienced Consultants and Case Managers: The average experience level of an Arcadia Consultant is 22 years, while the average experience level of an Arcadia Case Manager is 11 years. Proprietary Case Management System: Arcadia owns a proprietary case management system, (EDISON™), developed specifically for our industry providing enhanced case tracking, document preparation, and client reporting. Clients are able to quickly gain visibility into how our services are adding value for them. Proprietary Quoting Software: Arcadia developed and launched a proprietary trademarked quoting software known as Integrated Quoting™. IQ™ allows Arcadia employees to quote multiple life companies simultaneously for a specific target benefit stream, freeing their time to better serve their clients. This revolutionary tool greatly reduces errors in the quoting process while increasing the speed at which our brokers can generate settlement illustrations under time constraints at settlement conferences. 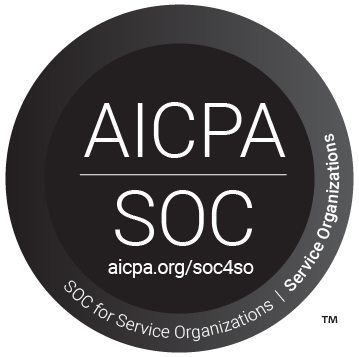 SSAE 16 / SOC 2: In the past several years Arcadia Settlements Group has implemented strong security controls which are designed to minimize risk while allowing for a high degree of employee efficiency. 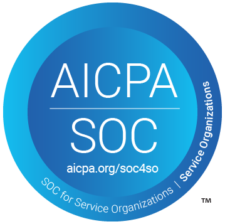 Arcadia is pleased to announce that it has received a “clean” report from Young and Associates, independent auditor members of the American Institute of Certified Public Accountants (AICPA), declaring that Arcadia’s Service Organization Control (SOC) audit contains no exceptions or remediation requirements. This achievement is one that is immediately meaningful to our clients with the highest security demands and puts Arcadia in a class of service providers that consciously enforces and drives for best-in-class security at all levels of the company.